Downtown has myriad of garages, lots and street parking options. Street Parking: free after 6 pm and all day Sunday. NEW Private 800 car Garage across the street: security 24/7. Their daily parking rates vary. At night it's usually $7/$10 on weekends/$15 special event rate (example Astros/Theatre). Planning your event with El Big Bad is simple - just call or email. Let El Big Bad Restaurant customize your event to meet your expectations and create a memorable experience -- all you have to do is enjoy! We accommodate parties large and small. Worlds largest Infused Tequila bar. 70 infusions made in house by hand with natural ingredients, fresh juice margaritas, cocktails and scrumptious food. Huge wrap around outdoor Terrace with incredible views of Downtown Historic District. Recently voted Houston Press best bar patio 2016. 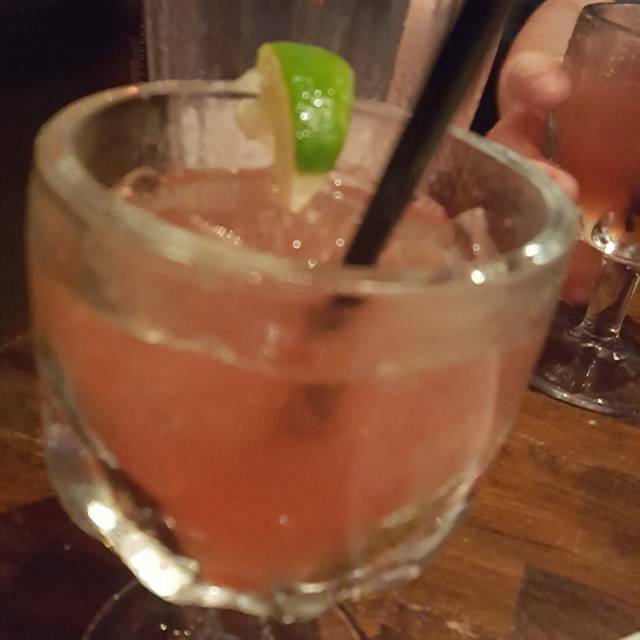 Regularly voted Best Margaritas by numerous publications throughout the city, state and beyond. 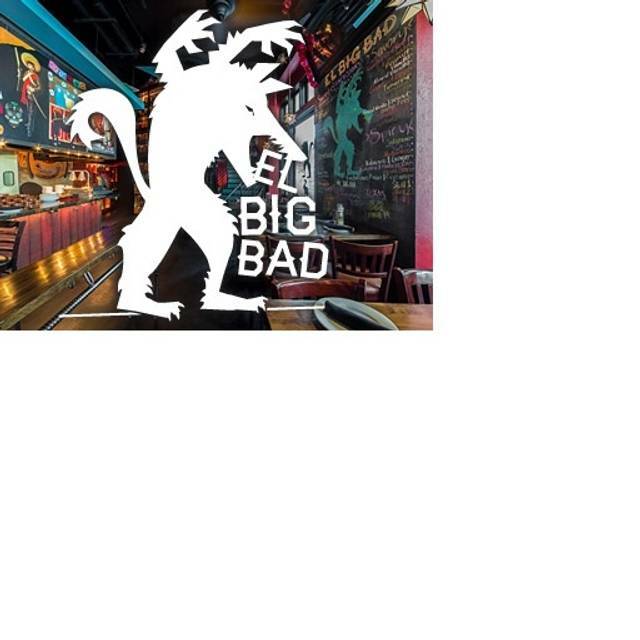 Ideally located in the Historic District between the Theater District and Market Square area of Downtown Houston, El Big Bad offers a one-of-a-kind drinking and dining experience for gatherings of all sizes and types. Open since December 2013. Great place ... the margaritas were off the chart. My wife absolutely loved the Champ. The music was bit loud ... very hard to carry on a conversation. My wife and I were on a date. I wasn't in love with having to walk up to bar every time we needed to place order for drinks or food ... but they did take care of us promptly when we walked up and they delivered everything to our table promptly. The staff was very friendly. We are so glad you had a great time. Come back anytime. I was disappointed in the overall service from start to finish. We did not receive all of our order. The table was off balance. The bartender was overwhelmed and it was difficult to even pay our bill at the bar. This is not really a restaurant.. it's a bar. We didn't even need the reservations as there is no hostess and we had to go up to the bar to order food. Thank you for visiting our bar. We are sorry we didn't exceed your expectations. Yes, we are a bar that doesn't require reservations. Reservations are strongly encourage on groups. We go beyond a typical bar with fresh squeezed margaritas and scratch kitchen using amazing ingredients like non gmo organic stone ground yellow corn tortillas and 44 farms free range steak. A lot of people eat dinner here even if not drinking. We'd love to have you back anytime. The food was El Bad. The hamburger was majorly undercooked, the chicken on the enchiladas tasted like microwaved chicken and the appetizer arrived after the meal. Not one member was interested in fixing this. The upstairs was so loud, you couldn’t order a drink or hear yourself think. Definitely disappointed. Will not go back. We went for brunch on Sunday. The food was great and we loved the atmosphere. This restaurant is Bar Service only. No waiters to serve you but they do deliver your food order to your table. The server/bartender was rude and in helpful w the menu. I reserved a spot here for Valentine’s Day we ate and left shortly after. Great food and wonderful value. The service was a little slower than usual, but overall a good experience. Tequila infusion list was just amazing. Food was phenomenal. Service was fast and friendly. I can't wait to return. This was our first visit to El Big Bad. We were early for dinner and even earlier for the bar scene, so it was fairly quiet and not crowded. The food was good, and the pitcher of margaritas was also good. The staff was friendly and we were served quickly. It was a little dark inside. Waitstaff was extremely rude and not helpful from the moment we arrived. In addition, the kitchen ended up closing because they said they were too backed up. Will not go back. Great spot with EXCELLENT drinks!! Definitely going back. First time here, we stopped in before a show at the Theater and our entire family loved it. 5 of us ranging from 50 years old to 9 years old. Authentic Mexican food, not tex-mex. The corn was ridiculous! Some of the best tacos and margaritas ever had! They have a salsa trio appetizer which was just delicious, my kids were fighting over the options! If you can handle a cool bar scene and not need some fancy place to have dinner and just want some good food and drinks, this place in the theater district area is it. CS99, Thank you so much for visiting our bar. We are so glad you enjoyed everything. We take amazing ingredients, prepare them from scratch and create really fun fresh margaritas and cocktails and also food inspired by the flavors of Mexico. We are so happy that downtown and the theater district is coming back after Harvey. We've been here 5 years and have always love being the casual fun fresh quality spot before/after the show. Hit us up so we can thank you properly. loved it, will come back for sure and the best tacos i have ever tried. AryzaelC, Thank you so much for visiting our bar. We love you back!! We love our tacos too. Everyone always says that the bread makes the sandwich, the dough makes the pizza and man do those tortillas make the tacos. Ours are made from non gmo stone ground organic yellow corn. The masa/tortillas most places use are made from a very industrialized corn. Ours cost us around 14x more. But so worth it. We are happy you enjoy them as much as we do. Hit us up so we can thank you properly. Good Margaritas, excellent service, love the terraza with salsa music. The service was terrible. Part of our party's food was forgotten and the service was very rude about it. Then they kept bringing stuff to our table that we didn't order. Extremely unorganized. We enjoyed sitting outside and taking in the views of downtown. The steak tacos were great but we weren’t as fond of the shrimp tacos. The drinks were good and so was the service. Fabulous tacos, crispy shrimp, carne asada, grilled red snapper. Fresh corn tortillas. 2 tacos a la carte is plenty, especially if you have an app. Excellent frozen house margs. Great beer at excellent prices. Excellent service. Especially Tashina on the floor & Ryan behind the bar. Such a great place I almost don't want anyone to know so it becomes too crowded. Infused tequilas look fab... I'm allergic to agave/cactus, or I'd have tried it. Amazing. Very cool place. Can't wait to return! This establishment doesn’t require reservations apparently. It was a seat yourself situation, and the staff seemed confused when I mentioned a reservation. The food and drinks were fine but WAY overpriced for street-style tacos and margaritas. We were there for Houston Restaurant Weeks and ordered from the special menu. The food was good and the portions were generous. The atmosphere was much more bar than restaurant but we enjoyed it. Loved the way this place looks but that’s all. Food and drinks were waaayy over priced and there’s no wait staff. The hostess was very rude. I made a reservation for 4 but someone joined us so it made 5. It apparently was a big deal and we needed to be seated in a different section bc we had an extra person- it was a little weird considering it was an empty bar on a Friday night. I don’t understand why reservations are necessary it was like 4-5 groups of people in the whole place (both floors) food was okay- chips were cold. Didn’t have beers we wanted. Shrimp tacos made me sick. Honestly the thing that made me most mad besides the food and bar was the hostess attitude. Maybe she needed a drink. Or 2. It’s a beautiful place the people who work there need guidance. Had to pay $15 to park and then go to the bar every time I wanted anything (no servers). Only one bartender who did his best to keep up. However, if I wanted to serve myself I would have stayed home and spent a lot less. Horrible service. Food is good but just because tacos are good. Came into town for a concert and this spot was near the venue. Very quiet for a Saturday night (about 6:30?) but quick and friendly service. Food was good and definitely fairly portioned! I recommend the queso, salsa, guacamole flight, well worth the price— couldn’t finish the whole thing between two people. As well, we were served the biggest queso bowl ever, which was awesome. 5 tacos were easily split between the two of us and we were definitely full. If I lived in Houston, this would definitely be a regular spot for me. I hope to come back again one day! Always enjoy dining at El Big Bad. The atmosphere is great! Food is great! And of course the infused tequilas are fantastic! Original fruit infused margaritas! Lots of creative combinations to choose! Good nachos and other TexMex snacks! Tacos are good, but worst service in the world. I made a dinner reservation for four. When we got there they had a booth reserved for us on their top floor. The only person working was one bar tender. They do not have waiters to service their tables. I spent most of my time there standing in line to order food, standing in line to order drinks and standing in line to pay my bill. I won’t be going back there. Limited menu but everything was very good. El Big Bad is a casual fun bar, there is a louder, busier downstairs area and a quieter upstairs area including outdoor seating when the weather is nice. It's not fancy, but the staff were super nice and helpful, the food is fun and delicious. The margaritas were fantastic. We were able to grab a quick meal before the theater, in and out, no problem! We came with our two children early before a show at Hobby Center. They usually have bar/counter service on week nights, but since they were not busy and we had kids they served us at our table. Food was really good, and my husband loved the jalapeño ranch. Awesome place with great service and music!! Definitely opt for the infused tequila margarita vs the house margs. The tacos were awesome! More of a bar then a place where I would dine regularly. Good drinks, food OK. This was my first time at El Big Bad. I went with a friend who is a regular and I will indeed be back. Great service from our bartender and I loved my food and margarita! Good food and service! Thanks!